When I talk about commercializing space, I’m talking about growing the purely private sector part of the space economy while recognizing that the space economy in total intertwines public and private in many complex ways. Given that government funding of space activities will likely not grow much, any growth in the overall space economy must come from the private sector. Now the only economic system that can reliability deliver growth is the free market. Some people call it capitalism, but I prefer free market as being more descriptive and without the negative connotations that have arisen around the term capitalism. The free market is based on the principle of economic freedom. That is, every transaction that occurs between one or more parties is completely voluntary. No coercion of any kind is involved. For example, when you walk into a grocery store and buy a bag of apples, no one forced you to do it. It was your choice. And no one forced the store to sell apples. It was their choice. The transaction is governed by a price, the value of the exchange amenable to both the buyer and the seller. In that sense, every free market transaction is a win-win situation for both sides. Each gained something. You gained some tasty apples, and the store made a small profit. Of course, there is competition within the free market. That’s one of its strengths. But the competition is between sellers to attract the business of the buyers or consumers as they’re known. Competition among sellers results in choices for consumers, and we all like choices. The supermarket across the street may attract your business by offering more selection or better quality or lower prices or better service. It short, it must provide more value where value is defined by you, the individual consumer. This is how competition leads to innovation: sellers using their creativity to find some angle to stand out from the crowd and attract more consumers. It’s easy to be a consumer in a free market. You simply buy what you want to maximize your satisfaction per dollar spent. If you are a seller in the free market, there are a couple things to keep in mind. First and foremost, and all you budding entrepreneurs should take note: your revenues should exceed your costs. This sounds obvious, but satisfying this simple criterion has proven incredibly hard for space companies not basing the majority of their business with the government. Second, you only have revenue if you have customers and you only have customers if you are providing something they value. The degree to which your revenues exceed your costs, in simple terms, is called profit. It’s quite astounding to me that there are some in this country who believe profits are somehow evil, an indication of exploitation. On the contrary, profit is a direct measure of the value created by a company. The cost of a product or service represents the value of the materials and labor it takes to create that product or service. The revenue represents what a customer will willingly pay for the product or service. The difference between the value of the output of a firm and the value of the input is a direct measure of value creation—the value of a good or service above and beyond the value of the labor and materials needed to create it. Profits are good, in fact the supreme good of any commercial enterprise. The free market, the result of humans engaging in voluntary interactions in pursuit of their own objectives, is the greatest system of value creation, growth and innovation ever conceived. Just in the last 50 years, it is responsible for lifting billions of people out of poverty. The poorest among us in the United States own or have access to capabilities unimagined by the very richest people of prior generations. Of course, the government plays a vital role in securing the economic freedoms that underpin the free market. Physical security, enforcing laws, enforcing property rights, and enforcing contracts are all required for the proper functioning of the free market and will be so in space. The blue water navy of the United States keeps the seaways of the world safe for maritime commerce. Similarly, one function of the proposed Space Force will be to keep space safe for commercial activities. So, what will it take to establish a robust free market economy in space? The challenges are huge. The energies, distances and conditions for operating in space require enormous capital expenditures and very long lead times. At present, and over the last several decades, the only robust purely commercial space sector is communications. Most of this activity consists of satellites in geosynchronous orbit and there has been — at least until recently — a fairly stable market of 20 or so satellites per year. The sad fact is that every other attempt to create commercial business in space has failed, though the jury is out on some ongoing efforts. Confronted with this discouraging situation while at United Launch Alliance (ULA), my advanced programs group and I spent a lot of time thinking about this problem. The result was a framework for the commercialization of cislunar space called the Cislunar1000. Late in 2015, we created a set of four infographics capturing the essence of this vision that I put out on Twitter. The infographics represent the state of space activities at the present, five years from now, 15 years from now and 30 years from now. Unfortunately, in terms of space commercialization, time has stood still and no real progress has been made since I created the infographics. In the near term, the five to 10-year horizon, the commercialization framework includes the development of a commercial economy in low Earth orbit (LEO). This is dominated by commercial space stations as successors to the ISS. The current ISS participants transition from being owners and operators to being customers of commercially owned and operated facilities. The use of more efficient technology and commercial operating practices will bring the cost of human presence in LEO down substantially, allowing many more countries to participate. This added demand will initiate a virtuous cycle, lowering launch costs, enabling more customers, lowering costs still further and so forth. Having developed and sold launch vehicles for much of my career, I got used to the fact of the utter inelasticity of the launch market. It didn’t matter what prices we charged, demand was the same. Human spaceflight to LEO (and beyond), first for national prestige and eventually for tourism, can be that elastic market we’ve dreamed about for decades. 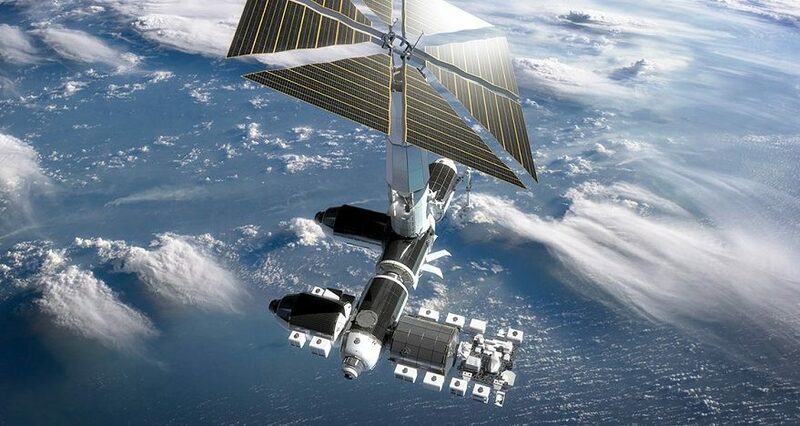 I have long admired the vision of Bigelow Aerospace founder Robert Bigelow and his expandable space station technology. I’ve worked with him off and on for years. The constraint has always been the availability of commercial human transportation. Despite endless delays, it seems we might see commercial crew fly this year. Other companies like Axiom have also jumped into the commercial station marketplace. But here is the caution. Before the commercial LEO market can flourish, the ISS must be retired. It bears repeating. Before a commercial LEO market can flourish, the ISS must be retired. This is for a couple of reasons. First, the commercial stations need NASA and ESA and the other top tier space agencies as anchor customers. These agencies won’t invest or even buy time on a commercial station so long as they continue to sink money into the ISS. Second, companies cannot compete with countries. As long as the ISS is in orbit, it is a direct competitor to any commercial station. Unfortunately, there are very powerful forces that will try to keep the ISS going as long as possible. Crony capitalism will always be one of the greatest enemies to the free market. The other emerging sector of the LEO economy will be in-space manufacturing. This nascent sector will grow in importance as we are able to tap into space resources and begin building stuff in space for use in space from materials found and processed in space. Made In Space is an example of an up and coming space manufacturing company. Finally, within this near-term window, new transportation capabilities will be fielded that make use of reusability. Both SpaceX and Blue Origin are working on reusable booster stages. I’m still skeptical booster reuse makes business sense. But there is no doubt that reusable in-space stages capable of refueling are a true game changer. ULA’s ACES, set to fly in the next couple of years, should revolutionize space transportation, once sources of fuel are developed in space. The 10 to 20-year time horizon will see the development of lunar (and perhaps asteroid) resources. Space resources, in general, will spur the next great economic revolution for humankind, on par with the agricultural revolution and the industrial revolution. The resources available in just the inner solar system are nearly infinite compared to those available on Earth. For example, the energy output of the sun is 10 trillion times the current energy consumption of humanity. Just one metallic asteroid, 500 meters in diameter, contains more platinum group metals than have ever been mined. Finally, one of the great discoveries of space science in the last few decades is that the inner solar system contains abundant quantities of water. If you have water, you have hydrogen and oxygen, the most efficient chemical propellants known. Water is the oil of space. In particular, there is mounting evidence that water exists at the poles of the moon. The moon is a unique object in many ways. One unique feature is the low inclination of its rotational axis relative to the sun. The Earth is tilted at 23.5 degrees relative to the sun—that gives us our seasons. The moon is only tilted at 1.5 degrees. This means that the sun is always on the horizon at the lunar poles. Any depression like the bottom of a crater is in permanent shadow. These permanently shadowed regions are among the coldest locations in the solar system reaching 40 Kelvin. Water ice in these locations is stable for billions of years. A recent paper, published by the National Academies, indicates there are locations within the permanently shadowed regions of the moon with surface concentrations of ice as high as 30 percent by weight. But scientific evidence of water ice on the moon does not mean that it will be profitable for a commercial company to mine, process and distribute propellant. Building the business case for mining ice on the moon has been a focus of mine for the past few years. In 2016, while at ULA, I became the first person to offer to buy propellant in space. I set quantities and prices at various points in cislunar space. In 2017, after I joined the Colorado School of Mines, we conducted a study to develop an architecture and costs. This was recently expanded on by a team of 40 individuals representing 25 companies, academic institutions and government agencies. The details are publicly available, but the bottom line is that the business case closes with just commercial demand for propellant. But if NASA participates through a public private partnership, the business case for a commercial mining company gets even better and results in a truly game changing capability for the nation and the world. Imagine if NASA could do one thing now that would reduce the cost of everything NASA wants to do in the future by factors of two or four or even 100 depending on the activity. That is the effect of lunar propellant. Use of lunar propellant reduces the cost of sending mass to the Gateway by a factor of two. It reduces the cost of sending mass to the surface of the moon by a factor of three. It reduces the cost of a Mars mission by a factor of two to four, depending on the architecture. The bottom line is that the development of space-sourced propellant from the moon or asteroids lowers the cost of every space activity beyond LEO. My hope is that this lower transportation cost will enable more and more commercial space business models to close, again contributing to a virtuous cycle. Perhaps the Moon Village or lunar tourism will be enabled. The 30-year time horizon brings the holy grail, the killer app of the cislunar economy: space solar power. Remember my earlier discussion of the free market. The foundation of the free market is the consumer. Right now, all consumers live on Earth. Any purely commercial space business must deliver value to people on Earth. One thing everyone on Earth needs is energy. Energy underpins the modern industrial economy and the availability of low-cost energy in the form of fossil fuels has lifted billions of people out of poverty and enabled our current unprecedented levels of abundance. However, fossil fuels resources are finite and there is concern (might we say hysteria) that their continued use will have adverse consequences on Earth’s environment. 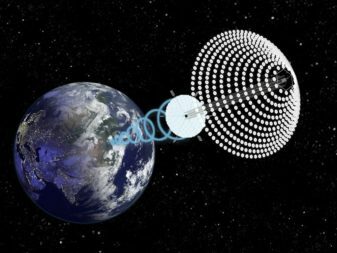 Space solar power can solve all that. It is unlimited, inexhaustible, available 24/7 and 100 percent carbon dioxide free. It does not consume huge tracks of land or murder birds. Unfortunately, solar power satellites are enormous objects. A single 2 gigawatt plant weighs in at 10,000 tons and is 13 kilometers by 6 kilometers in size. Such an object is unaffordable if launched from Earth. But if made from lunar materials in space, the business case closes: low cost unlimited energy available worldwide forever. At that point, we are well on our way to a post-scarcity economy and well on our way to bringing the near-infinite resources of the solar system within the economic sphere of humankind. George Sowers is a professor at the Colorado School of Mines and former vice president and chief scientist of United Launch Alliance. This op-ed originally appeared in the Feb. 25, 2019 issue of SpaceNews magazine.